Many people skip breakfast due to busy schedules and hectic lifestyles or to cut calories and lose weight. But skipping the first meal of the day is not a good idea. It is important for your overall health to eat breakfast. First of all, breakfast is the most important meal of the day after an overnight break from eating. Its name comes from the idea of breaking the fast and waking up your metabolism rate. This meal provides the energy and nutrients to help you carry out your day’s activities. Secondly, several studies have proven that people who eat breakfast daily have a better chance of dropping pounds and maintaining a healthy body weight. People who skip breakfast often snack on foods that are high in fat and sugar. Thirdly, people who eat breakfast are more alert, work more efficiently and tend to be in better moods. On the other hand, those who skip breakfast can be apathetic, disinterested and irritable. Finally, eating breakfast daily has long-term health benefits. It can reduce obesity, high blood pressure, heart disease and diabetes. When it comes to eating breakfast, many people choose the wrong foods. To make your breakfast healthy, opt for foods that are high in fiber, carbohydrates, protein, vitamins and other essential nutrients. Avoid eating anything full of refined grains, sugar, salt and saturated fat first thing in the morning. 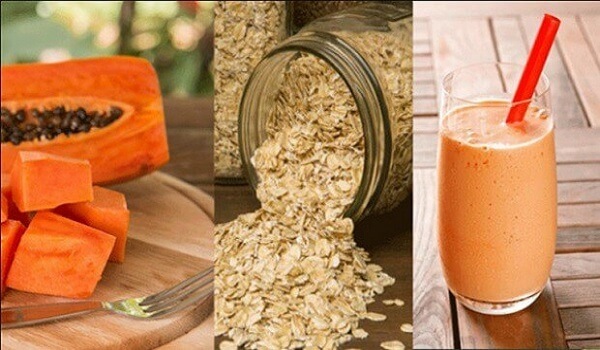 To help you get going with a nutritious first meal of the day, here are 5 quick and easy healthy breakfast ideas. Oats are rich in fiber as well as omega-3 fatty acids, folate and potassium. You can choose from steel-cut, rolled or instant oats, but avoid the flavored varieties that can be packed with sugar. You can cook oats in skim or low-fat milk and sweeten it with honey. Make your oatmeal healthier by topping it with some blackstrap molasses, dry fruits, nuts or chopped fresh fruit like apple. Eggs are one of the most popular breakfast options. The protein, vitamin D and fat in eggs help sustain your energy level and keep you satisfied until lunch time. You can eat 1 or 2 hard-boiled eggs with 2 pieces of whole-grain toast. You can also make an omelet with lots of vegetables and some cheese. If you have time, you can even make some French toast with whole-grain bread. 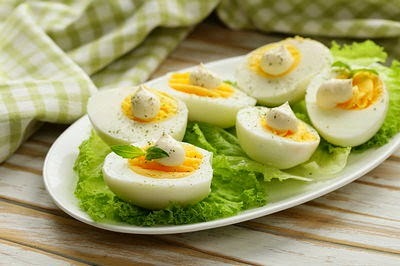 If you are conscious about your weight, avoid the egg yolks and opt for the egg whites only. One of the healthiest breakfasts that you can fix quickly is Greek yogurt. This tangy, creamy yogurt is loaded with calcium, protein and many other essential nutrients that will keep you feeling full throughout the morning. You can eat a bowl of plain Greek yogurt, or make it more healthy and tasty by adding some almonds and a fruit like fresh pear, apple, strawberry or banana. Sandwiches are easy to make and you can prepare them in many ways. For health benefits, always make sandwiches with whole-wheat bread. Whole-wheat bread contains more fiber and nutrients than white, refined bread. You can spread some peanut butter or almond butter on 2 pieces of whole-wheat bread and your healthy sandwich is ready. You can also use some cucumber, lettuce, tomato, spinach, cottage cheese and so on to make a sandwich. It is best to have your sandwich with a glass of warm milk. Fruits are packed with fiber, vitamins and minerals that help keep the body functioning at its optimal level. Some fruits that you can include in your breakfast menu are bananas, apricots, avocados, pineapple, cherries, grapefruit, apples and berries like blackberries, blueberries, raspberries and strawberries. You can eat an apple with some cheddar cheese or cottage cheese. Other options include fruit smoothies or a glass of fresh fruit juice that you can easily make at home. One cup of whole-grain cereal with 1/2 cup of skim milk and 1/2 cup of fresh fruit is also a good option. If you have time, you can try some banana pancakes made with whole-wheat flour. Do not eat anything made of refined carbohydrates or too much sugar. Avoid eating high sugar and fat cereal bars first thing in the morning. Don’t eat leftover dessert for breakfast. Do not stuff yourself with too much breakfast. Avoid coffee. You can replace it with a glass of milk or a cup of green tea. Keep your kitchen stocked with portable breakfast items like fruits, crunchy vegetables like cucumber, low-fat yogurt, milk, eggs, cottage cheese, and roasted nuts. Wake up just 15 minutes earlier and you will have enough time to fix a healthy breakfast. Before going to bed, plan what you want to eat at breakfast and do any necessary preparations the night before.